Carnival Australia is planning to bring its personalised wearable device experience to Australian shores following the launch overseas later this year. Princess Cruises is set to become the first cruise line within the Carnival group to rollout wearable devices aimed at better personalising the travelling experience for passengers. The devices were announced during the Consumer Electronics Show, and are based on an interactive technology platform that will provide more personalised guest experiences on board. 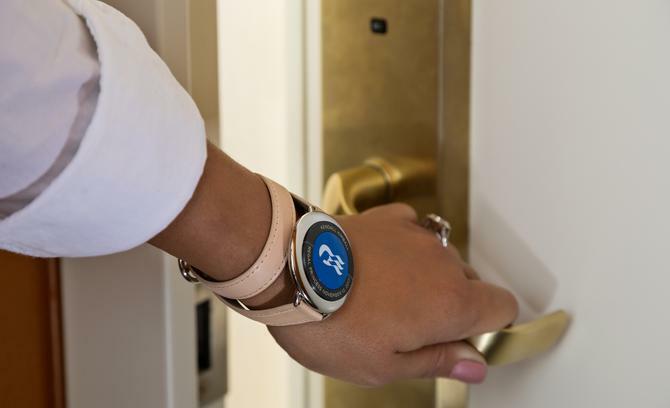 Much like the wearable wristbands used by Disney within its leisure resorts, the Ocean Medallion will tap datasets through the ‘Once Cruise Experience Access Network’ to provide a raft of personalised services and information. Initial services will include Ocean Ready, allowing guests to add details to their profile while at home, Here and Now, giving guests the ability to order food and beverages from a lounge chair on deck as well as to a location they want when they want, and a messaging and location service for friends and family. The Ocean Medallion will also be linked to Ocean Compassion, a personalised digital concierge based on profile information and preferences that uses displays throughout the ship, TVs and a guest’s mobile devices to help users find their way around, arrange events and activities, view photographs, and access destination information. Guests can also open their cabin doors using the wearable device. The Ocean Medallion will roll out on the Regal Princess ship first in November travelling across the US, Canada, Caribbean and Europe, followed by Royal Princess and Caribbean Princess in 2018, and will be complimentary. Guests will be sent out the devices in advance of voyages. An Australian spokesperson told CMO the devices will also be coming to Australia, but not until 2019 at the earliest due to the complexity and current infrastructure. The cruise wearables are in a similar vein to Disney’s Magical wristbands, which were officially rolled out in 2013 and use customer data as well as sensors across the leisure parks to provide a personalised onsite experience to consumers.